Last weekend was the Republic of Texas (ROT) Biker Rally in Austin. It's a wild party that draws bikers from all over the country and the world. This year I was there for the music and the custom bikes. 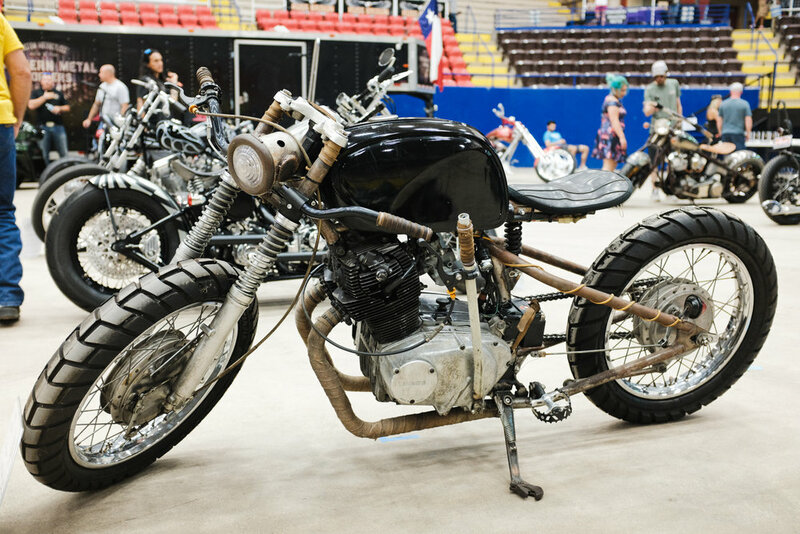 A feature attraction at the rally was the Artisan Show where builders got to show off their custom creations. For as big of an event as ROT Rally is, the bike show is relatively small. There aren't as many bikes as other annual shows I attend, such as the Handbuilt Show. Still, there were some fantastic machines and they were openly spaced in the Travis County Expo Center for leisurely viewing and photographing. I spent a good bit of time admiring the bikes and discovering bits of interesting detail. Besides the motorcycle eye candy, the air conditioned Expo Center provided a comfortable escape from the balmy heat of early summer. Here are some of my favorite bikes and accent details. All images taken with a Fujifilm X100F, Classic Chrome simulation. Check out more of my images from the ROT Rally on my gallery site.